Dr. John Streitman is a specialist in thoracic and cardiac surgery in San Antonio, Texas. He graduated from University of Texas Medical School where he got his medical degree. 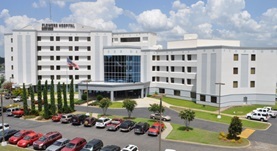 He did his residency program in general surgery at Texas A&M - Scott and White Memorial Hospital. After this, the doctor did a fellowship in thoracic surgery at the University of Florida. He is board certified in surgery and thoracic and cardiac surgery. Dr. John Streitman has a practical experience of more than 20 years. Dr. John Streitman has contributed to 2 publications. Achieving metrics during beating-heart ex-maze procedures improves outcomes. Kiser, A.C., Wimmer-Greinecker, G., Kapelak, B., Bartus, K., Streitman, J.E., Knaut, M., Sadowski, J.; Heart Surg Forum. 2008. Inhibition of nuclear factor kappa B attenuates proinflammatory cytokine and inducible nitric-oxide synthase expression in postischemic myocardium. Chandrasekar, B., Streitman, J. E., Colston, J. T., Freeman, G. L.; Biochim Biophys Acta. 1998 Feb 27.